Alice Towne feels like she understand. Her own curse has destroyed her marriage, and left her feeling alone for more of her life than she would rather admit. And yet when her mother finds her a house sitting opportunity in the Berkshires, a place to stay while her husband files for divorce, she can't resist the pull of memories saturating the old building. Despite her initial determination to do otherwise, Alice finds herself wanting to know the spirits held by these memories, to help them, drawn to the vibrant personalities of both the ghosts and the living people who populate this rural Massachusetts village. In The Nightingale Bones, Swan deftly captures the pain of trying to conceal defining parts of your being. Self-doubt is layered with cynicism and self-isolation in a tale that winds through the landscape of family and the journey toward self-acceptance. 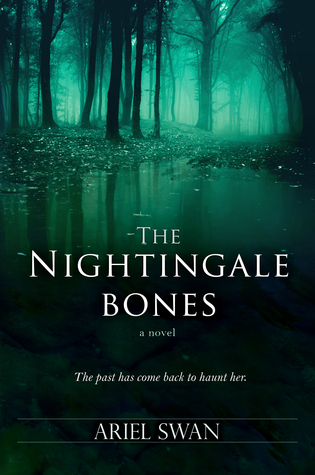 Universally applicable, and explored with a deeply feminine sensibility, The Nightingale Bones is a story of hope that some day we will be able to embody our own most authentic truths.